Meet the new PRSA CEO & Chair-Elect Rosanna Fiske, who joins guest host Sandra Burrowes to discuss how the Public Relations Society of America (PRSA) will support PR professionals in 2011. Throughout 2010, PRSA’s strategic planning team canvassed senior-level professionals in New York, Atlanta, Miami, Chicago and Los Angeles for their views on the future of the public relations industry and to identify the core needs of PR professionals. The new (draft) PRSA strategic plan emphasizes and expands on the organization’s five pillars--advocacy, the business case for public relations, community, diversity and education--and will put new focus ethics, excellence and society management. Social media continues to be a growing edge for the industry and while significant training and development opportunities are being offered by PRSA, Fiske cautions that social media is only one of many tools, and is neither a communications strategy nor a required foundation for a successful communications initiative. She also discusses the value of PRSA’s Accredited in Public Relations (APR) designation and the benefits of involvement in the industry generally. 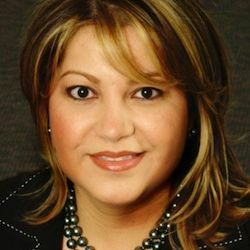 A 20-year public relations veteran and CEO and Chair-Elect of PRSA, Rosanna Fiske is also graduate coordinator and associate professor of advertising and public relations at South Florida’s largest public research university, Florida International University, in Miami, Florida.